Walmart is calling to arms against Amazon, and Microsoft answered the call. Amazon’s cloud business is getting another big rival, as two large corporations join forces to give cloud and AI a solid boost across different industries. The two companies in question are Microsoft and retail giant Walmart, who today have signed a ‘strategic partnership’ which should last the next five years. The deal means that Walmart users will get the advantages of Microsoft’s cloud solutions (Azure and Microsoft 365) to make shopping faster and easier. 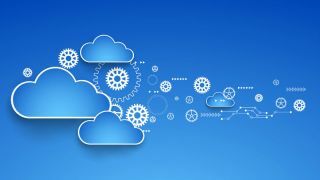 ‘Significant parts’, as the two companies had put it, of Walmart.com and Samsclub.com, will be migrated to Azure. Reuters is reporting that Microsoft is also working on a technology that would ‘eliminate cashiers and checkout lines from stores’, which is something Amazon has already implemented with their Amazon Go stores. The same report argues that Walmart is looking to defend itself from Amazon’s retail ambitions and expertise in data. Recently, we reported how Amazon was planning on opening a second Amazon Go store in downtown Seattle. The store will be located roughly a mile away from the first one, in the new Madison Centre office tower, at the corner of Fifth Avenue and Marion Street. Amazon first announced Amazon Go in 2016, with the store opening last year. Amazon Go is a store in which there are no checkouts – customers can simply walk it, grab what they need and walk out. The store is equipped with sensors and the user needs to have a mobile app installed. The sensors track the customer through the store, see what they're looking to buy, and once they leave the store with the item, their card gets charged through the app.